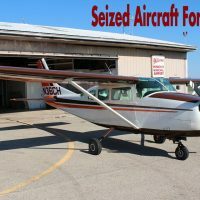 1963 Cessna seized in December of 2014. 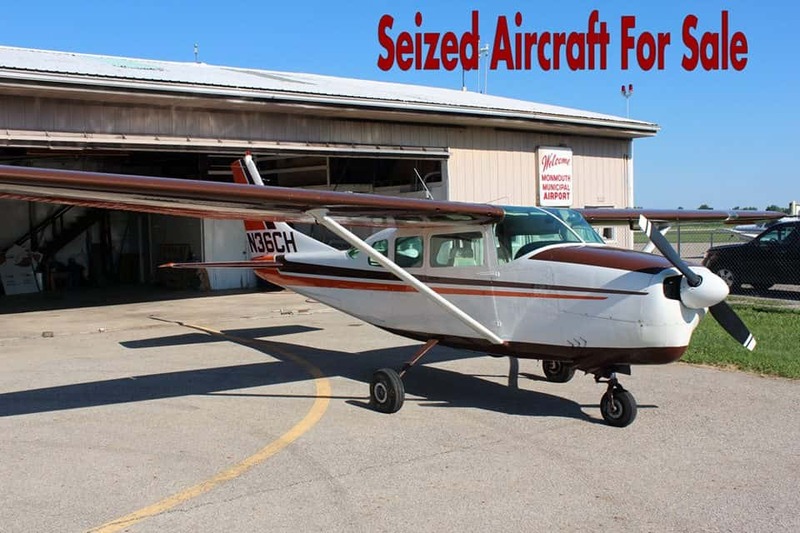 If you wanna get high… like 10,000 feet high, you can buy a 1963 Cessna airplane from the Illinois Drug Task Force. The aircraft is up for auction after being seized in a high-profile drug bust at the Monmouth Airport in December. A Facebook post by the department says bids will be taken for the plan starting August 4th. Pictures and video are available online at the Monmouth Police Department Facebook page. Authorities seized the plane after finding more than 200 pounds of marijuana, a handgun, and $2K in cash in the cargo hold. 32-year-old Sean Billingsley of Jacksonville, Oregon was arrested on felony drug charges on December 12th of last year. In March, Billingsley appeared in Warren County court and was served with a federal warrant for Indictment. The case has been transferred to a federal court. Lawyers involved speculated it could have been due to the amount of drugs, or because it they were transferred between states on an airplane, according to the Galesburg Register-Mail.